The Formula 430 All Sport Crossover is the latest of the revolutionary 430 Super Sport Crossover. 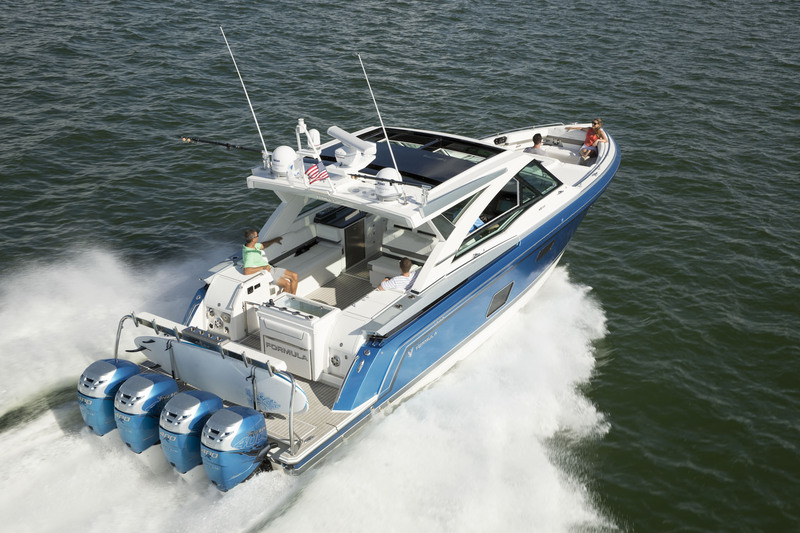 True to the Formula Crossover mission of providing a platform where boaters truly can have the best of all worlds, the 430 ASC is an unprecedented fusion of dayboat versatility, overnight capabilities and sporting accommodations, where playing hard no longer means hard work or compromise for anyone aboard. At 43’ in length with a 12’ beam, the 430 ASC retains all of the SSC’s comfort amenities forward with a generous shot of offshore adventure aft.